Thank You To All Those Who Came And Joined Us! The focus of this year conference was “More Than Classes and Books; Creating Community, Building Empathy & Maintaining Safety”. The biennial Across Colors Diversity Conference (ACDC) is held with the mission of providing a safe space for professional development of leadership, parents, board members, faculty and staff of all backgrounds in independent schools. ACDC also gives parents and students an opportunity to engage in hands-on activities and participate in content-based discussions on the importance of building and sustaining inclusive, nurturing, forward-thinking independent school campuses. Attendees typically include heads of school, board members, administrators, faculty, staff and educational professionals in independent schools as well as students in grades 7-12. How can educators give students of color tools to empower themselves both inside and outside of the classroom? Why is it important to create a globally inclusive and culturally competent environment in your school? How can senior leadership create a plan of action to implement a sustainable diversity program at their school? What is cross-cultural communication and why is it important to understand? Best practices for recruitment, retention and support of students, faculty and administrators from diverse backgrounds. Supporting positive identity development and challenges specific to students of color. Finding ways to provide mental-health support to our students. 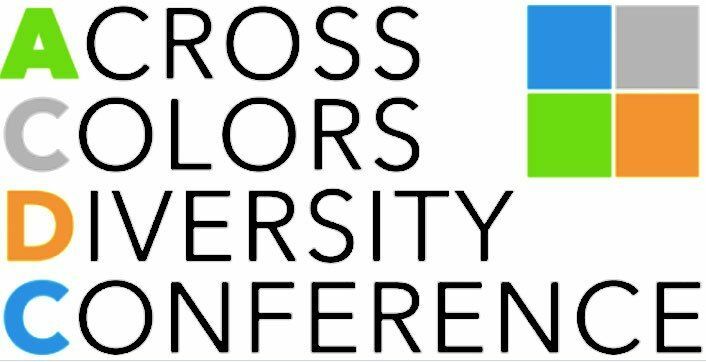 We here at the Alliance would like to say THANK YOU to everyone who made the 2017 Across Colors Diversity Conference a success! Thank you to the volunteers who gave of their time and skills and made sure everything ran smoothly. Thank you to the presenters who gave such awesome and engaging workshops and to our keynote speakers who told such powerful and compelling stories. Thank you to Harvard Westlake School for hosting us. And last but certainly not least, thank you to all the participants who engaged thoughtfully and critically in throughout the day and truly made the conference what it was. We could not have done it without each and every one of you. The Independent School Alliance for Minority affairs was founded in part with the mission "to provide on-going support programs for students and their families; and to act as a resource to member schools assisting them in their individual efforts to address issues of racial diversity and multicultural education.". We recognize that this is not easy work, and as was said many times on Saturday, it is work that is never done. As you continue to engage with the tough questions and uncomfortable exploration that are in many ways "more than classes and books," we hope that you will call on us to be a resource for information, facilitation, professional development, student empowerment, and support.